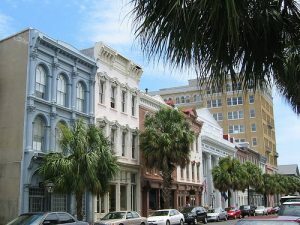 Charleston’s intentions for The Upper Peninsula Initiative are to direct population growth towards the city center in an effort to mitigate sprawl. Of the eight strategies implemented in the EcoDistricts framework, Urban Form & Pattern has the most apparent and enduring influence. The arrangement of building densities, their heights and architectural styles, as well as the natural environment and transportation infrastructures are all paramount in the planning for Charleston’s Upper Peninsula. This urban structure is fluid, changing over time in response to social, political, and economic interests, creating an evolving fabric that suits the needs of current and future growth. In planning for the physical configuration and arrangement of buildings in the Upper Peninsula, planners are using a strategy based on two key components. 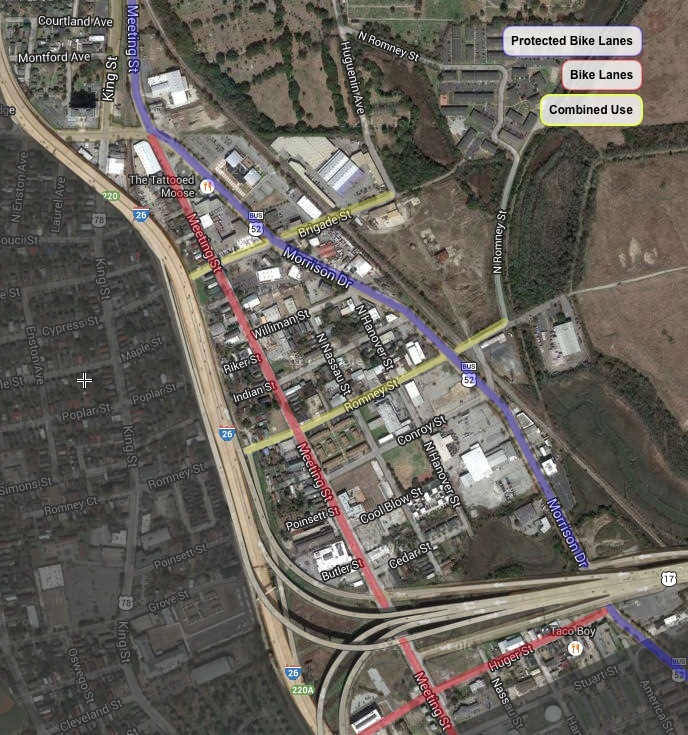 First, the district is delineated into primary thoroughfares (Meeting, Morrison, Brigade, Romney, Huger) and the secondary neighborhood streets that connect to them. Then, the heights and densities of buildings along those streets are planned to create an ideal alignment of form and function. When speaking about building densities, we are accustomed to hearing restrictions on building heights in linear terms, such as 55 feet. However, this creates a couple of problems – some buildings require greater floor-to-floor heights for mechanical equipment, such as air handlers in commercial buildings, while others can get away with shorter heights, such as residential dwellings. Also, a linear height limit tends to create a ‘buzz-cut’ effect in which many buildings in an area are the exact same height. For these reasons, city planners are speaking in terms of stories. Medium density buildings along primary streets would be limited to four stories, and require an active use on the ground floor. (What is an active use? An office, shop, or storefront – something that creates and supports liveliness along the street.) Higher density buildings up to 5 stories and “exceptional” buildings up to 8 stories are planned for the underutilized warehouse areas, specifically along the edge of the peninsula as well as on Huger Street – just look to East Central Lofts and a new hotel near the ramp of the Ravenel Bridge. Transportation is key to any urban area, and we have a unique opportunity to create a broad transportation plan for the Upper Peninsula alongside growth patterns. For vehicles the recommendation is a collective parking strategy that is to be phased in as needed. 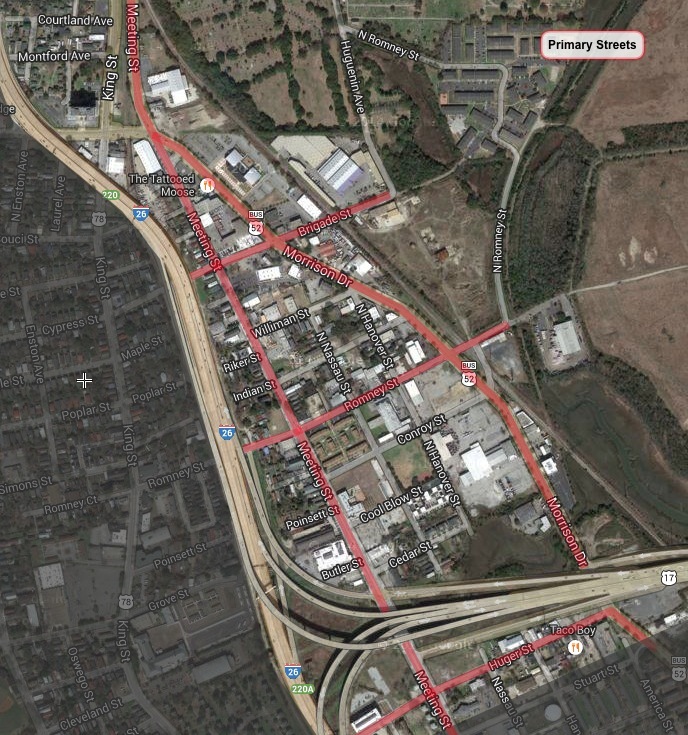 Just like in the rest of the peninsula, there would be strategically located parking garages throughout the district so that every building would not require its own sprawling parking lot. 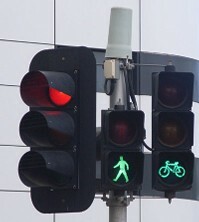 Moreover, the city planners are incorporating a comprehensive bicycle strategy for the district. The City of Charleston and The Sustainability Institute continue to welcome ideas and feedback from the community during this planning process. The nature of the Upper Peninsula Initiative is one of collaborative effort, whose goal is for every Charlestonian to have a voice in what this next phase of our city will look and feel like. How Clean is Charleston Tap Water?